This stone is a real firecracker. 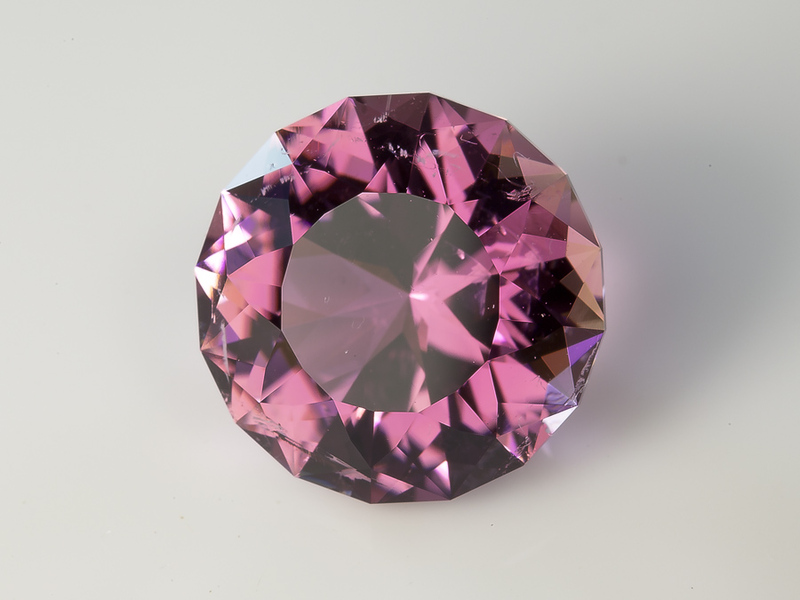 A stunning example of Nigerian “Hot Pink” Tourmaline, this stone glows. The dispersion generated by this stone is stunning, you will find yourself staring into it looking for each and every little rainbow. There are a few inclusions, some of which are just visible with an unaided eye, including one liquid filled inclusion near the girdle, however none detract from the beauty of the stone.